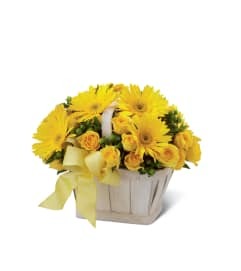 The FTD® Best Year™ Basket, blossoming with gerbera daisies and stock, conveys your wishes that this coming year be the best year yet! 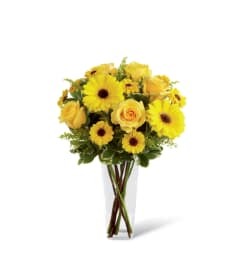 Purple stock, orange carnations, yellow gerbera daisies, purple monte casino asters and lush greens are gorgeously arranged in a whitewash woodchip basket hugged by a sweet 10-inch seated plush bear tied with a lavender ribbon around the neck. 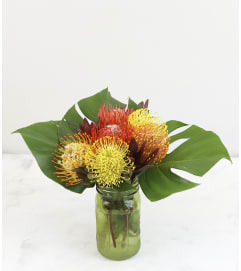 Full of color and exuding a soft fragrance, this bouquet creates an exceptional birthday gift they are sure to love.